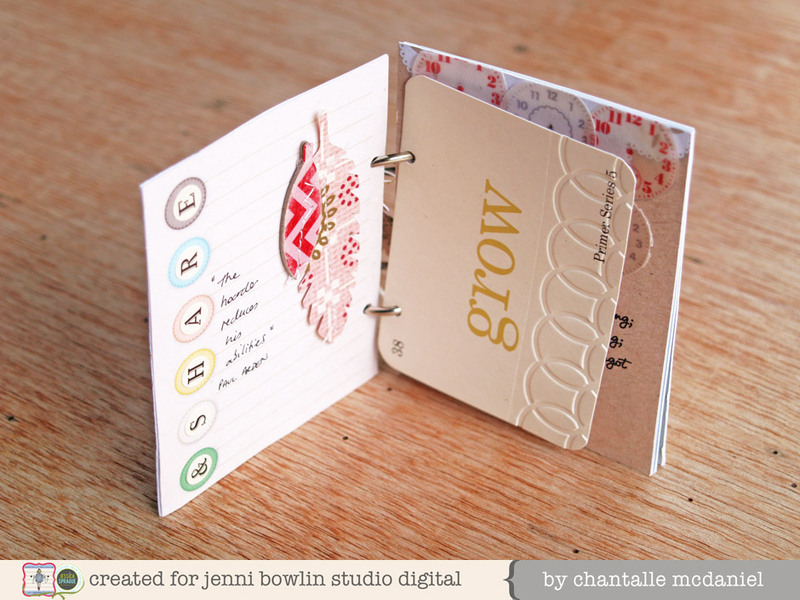 Chantalle McDaniel has created a beautiful mini album using both digital and traditional hybrid products. 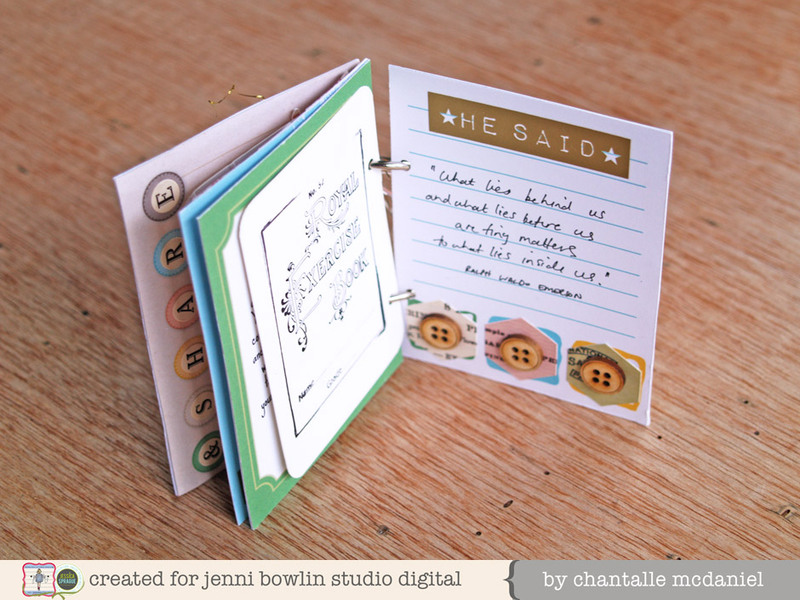 The backbone of the mini is the printable pdf from the Modern Mercantile digital kit. 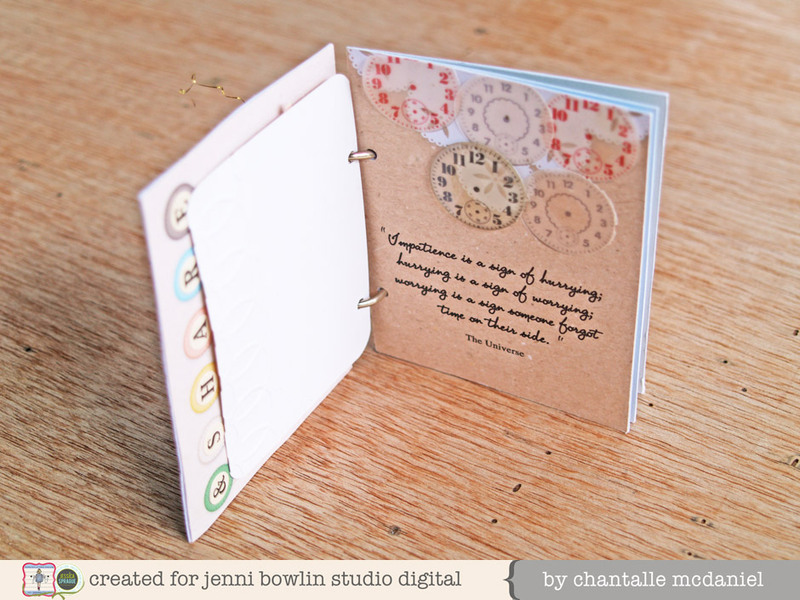 Chantalle also used the punchable pdf from the JBS Watch Faces kit. 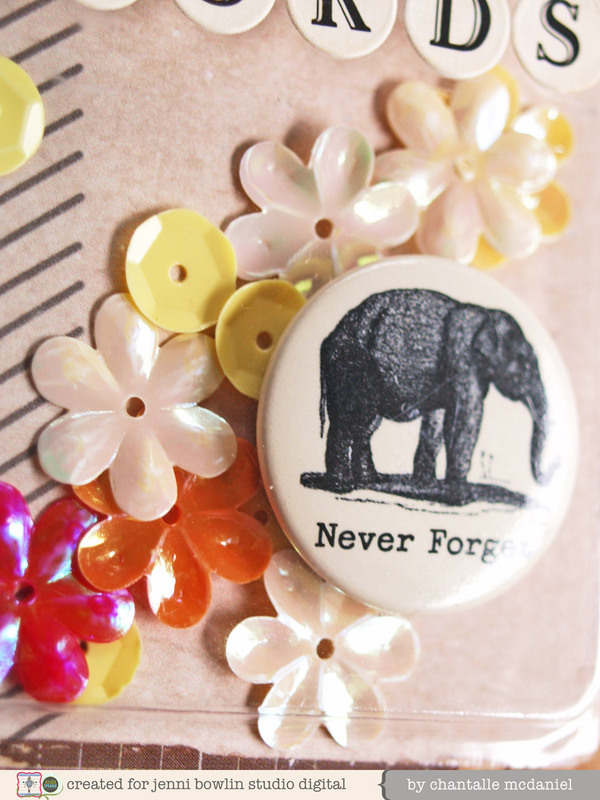 Printables and punchables are an easy way to incorporate more supplies into your scrapbooking stash! I stumbled upon a book the other day that I hadn’t seen in a while. I had highlighted a few parts inside that I’d found interesting and relevant at the time. 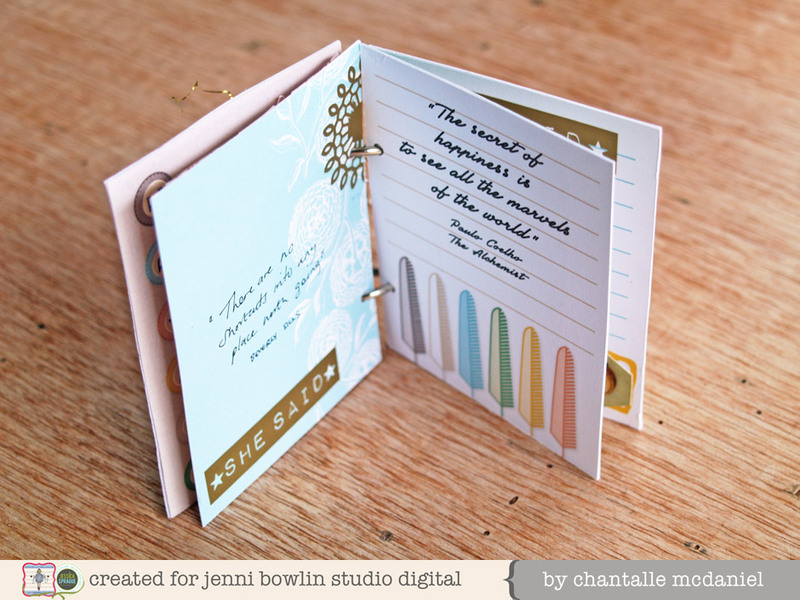 With all the gorgeous mini album inspiration on the blog at the moment, I decided to make this little keepsake and pop in a collection of quotes that inspire me. 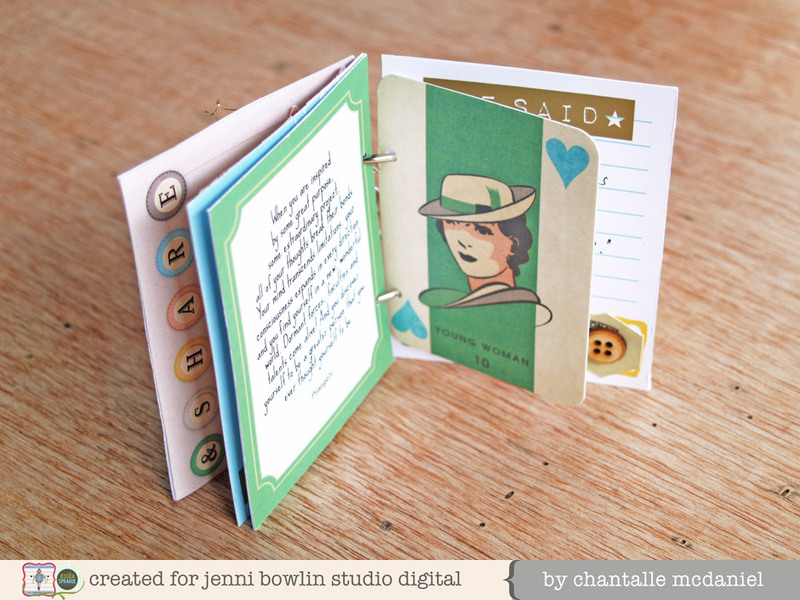 Using JBS Modern Mercantile 3x4 journaling card printables, it’s small enough to keep close to hand plus I can add more as time goes on. I quite often keep interesting bits of packaging, like this piece, which I’ve made into a shaker box for the front of my album. I’ve popped some ‘bloom’ sequins and secured a flatback inside. 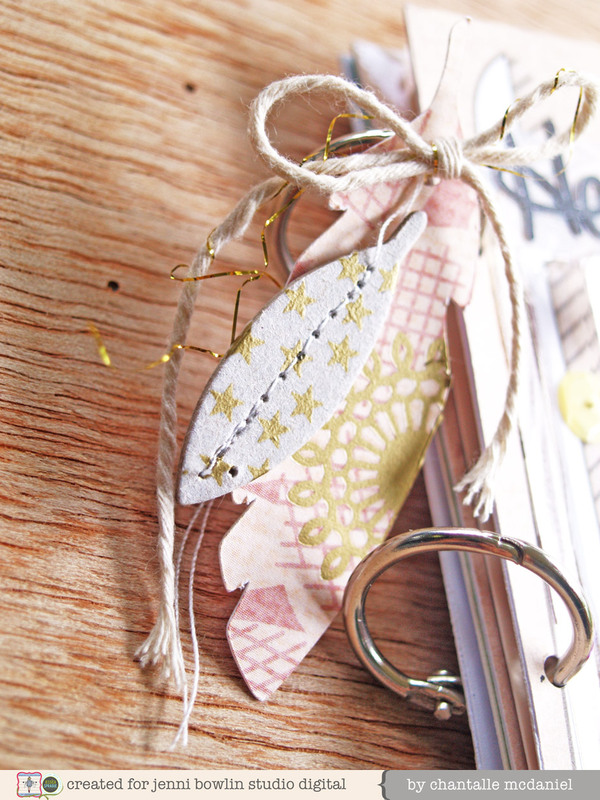 Using the Mercantile Mix Graphic Feathers, I’ve created some paper feathers using my Silhouette Cameo. I’ve covered these and some leaf wood veneer with some beautiful gold rub ons. The Mini Deck card has been run through with an embossing folder for interest. I covered a leaf wood veneer with washi tape and lightly sand for some texture. 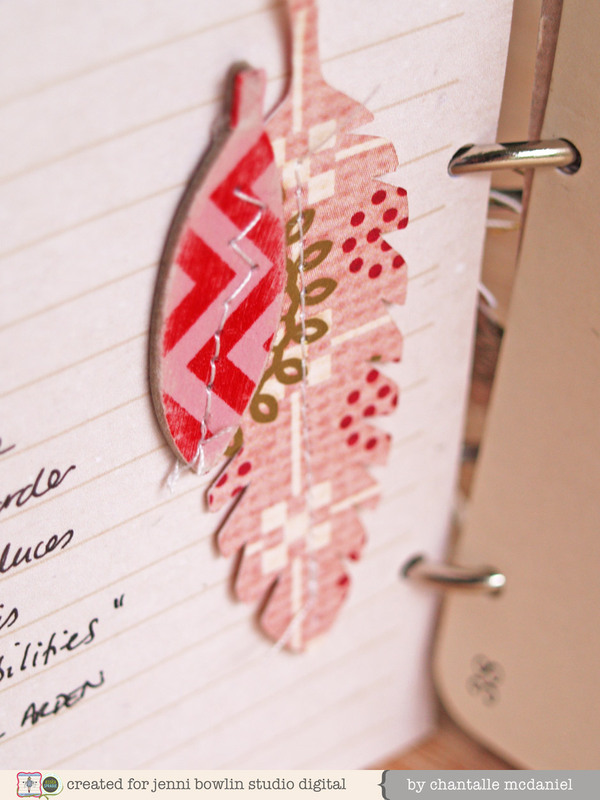 Printing off files onto vellum can give a lovely soft feeling. These are the 1 inch watch face punchables which have been punched out and an epoxy sticker added to one to make a fun dimensional clock piece. Thank you Chantalle for a most inspiring mini! WOW...this is beautiful. I love it!! 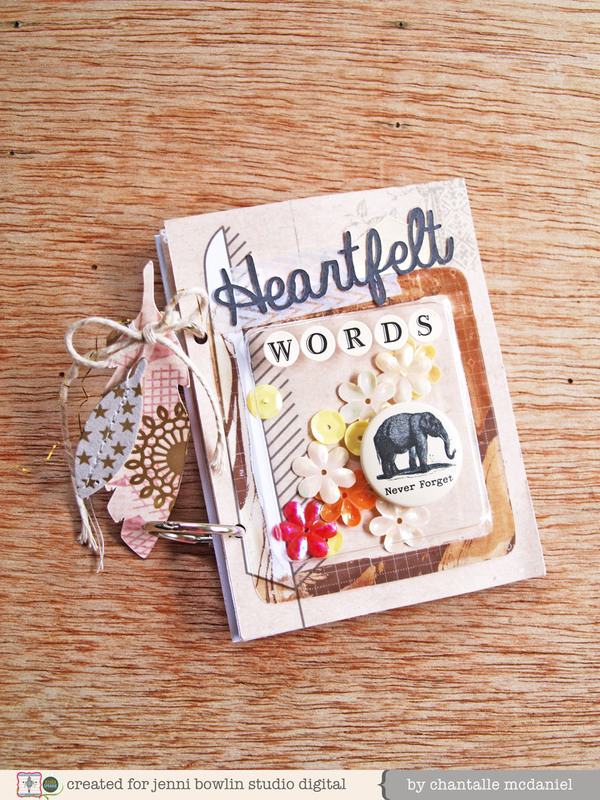 Such a wonderful idea to keep quote inspirations in a gorgeous little mini album. Thanks for the inspiration. Oh I love this mini full of wonderful quotes and inspirational words. Looks like a tiny masterpiece. Great choice of colours! Sweet Digi Goods on Sale! Welcome Our April Guest, Joy Muscillo! Oooo Baby - It's One Buck Wednesday! Butterflies Everywhere (and on sale)! Mid-month Flea Market and Gallery Updates! New Product Focus: Say What? Corrie Jones Shows Us How : Video! April Gallery Reveal and Crop Winners!